FX has announced that season two of The Strain will kick off this summer. There will be 13 episodes. On The Strain, a team of disease control experts are called in to investigate when a plane lands in New York with 200 corpses on board. They soon discover that a viral outbreak has begun that could overtake humanity. The first season’s large cast included Corey Stoll, David Bradley, Kevin Durand, Mía Maestro, Jonathan Hyde, Richard Sammel, Miguel Gomez, Natalie Brown, Jack Kesy, Sean Astin, and Robert Maillet. What do you think? Do you plan to watch the second season of The Strain on FX? 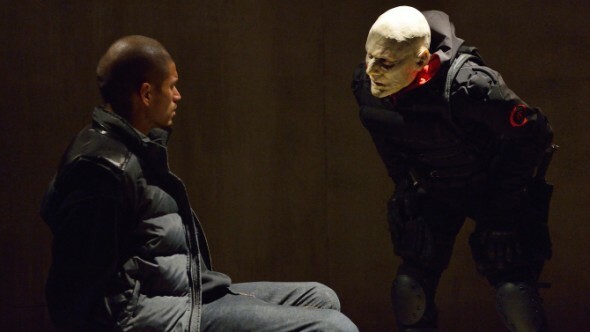 More about: The Strain, The Strain: canceled or renewed? Excited! Can’t wait love The Strain….. Happy to see another season is happening. I really like Strain!! in the book, now he was scary! Love the Strain. Very pleased to hear there will be another season. Great series. I’m so glad it was renewed. Wish we didn’t have to wait so long though! I’m so glad to hear that the strain is renewed. Awesome show! Sorry, it’s what’s been released by FX on YouTube. I don’t know why they’d limit who can see it. It doesn’t matter about the wait,just happy to know there will be another season. This link to the trailer doesn’t work in the UK either. However the link below does work here so it may work in Canada too! This series is absolutely AWESOME, I can’t wait!!!!!! !